The primary mission of the Saigon Exhibition & Convention Center (SECC) is to offer a diverse, quality, service oriented facility which will enrich the economic and cultural liveliness of the Vietnamese community. An international exhibition venue, the SECC consists of 4 indoor exhibition halls offering a total of around 40,000 sqm and an outdoor exhibit space between 15,000-20,000 sqm. Other facilities being provided by SECC are two high standard international hotels, a convention center offering around 2,000 seats, one high-rise tower, underground parking facilities and many more. 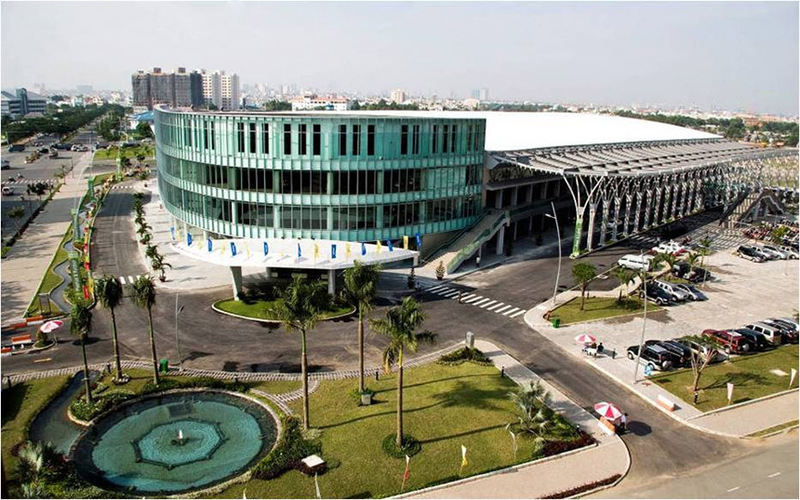 At par with all the international standards of excellence, Saigon Exhibition & Convention Center has been constantly delivering successful events and trade shows and is a leading facility in the country. Please use the cab services from VinasunTaxi and MailinhTax, two of the largest and the most honest taxi companies in Vietnam.